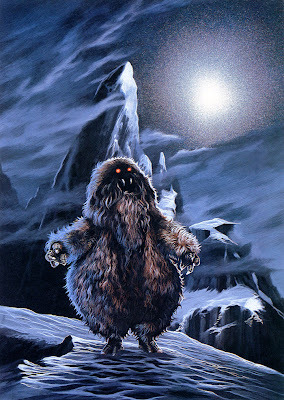 Here's a fantastic painting of an unusual furry beast/robot taken from the Dr Who television series. Below is an example of what these weirdos looked like on the show. You can read more about the episode here. 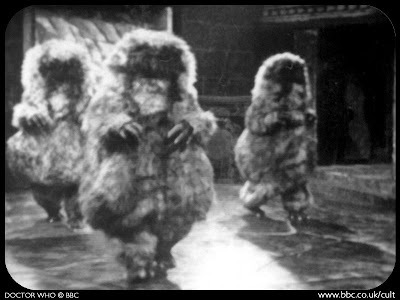 Sometime in the future I'm going to do a few weeks devoted to Dr Who monsters.